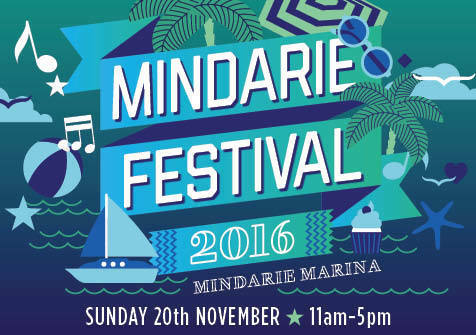 If you live near the coast, celebrate the beautiful coastal community at the Mindarie Festival held on Sunday 20th of November 2016, from 11am to 5pm at the Mindarie Marina, 33 Ocean Falls Boulevard, Mindarie, Perth. Admission is free and the day is full of fun-filled family activities including live music, children's carnival rides and games, a mermaid, street performers, artisan market stalls on the boardwalk, street food stalls and a free kids zone. The kids' zone at the Sand Court between 11am to 4pm includes a jumping castle, face painting, rainbow slide and ball pit, balloon twisting pirate, petting zoo, meeting Mermaid Stardust, bubble station and a Big Dig. Get the whole family together and enjoy the wonderful sea breeze and warmer days in the spirit of the friendly Mindarie community. Now in its 20th year, the festival is a drawcard for adults and kids alike. For more information, visit www.visitmindarie.com.au or contact their events team on 08 9305 9305 or events@visitmindarie.com.au. If you visit their website, you can share your images on Instagram using #visitmindarie and @visitmindarie or upload them to the Visit Mindarie Facebook page for your chance to win a $100 Mindarie Marina voucher. Where: 33 Ocean Falls Boulevard, Mindarie, Perth.